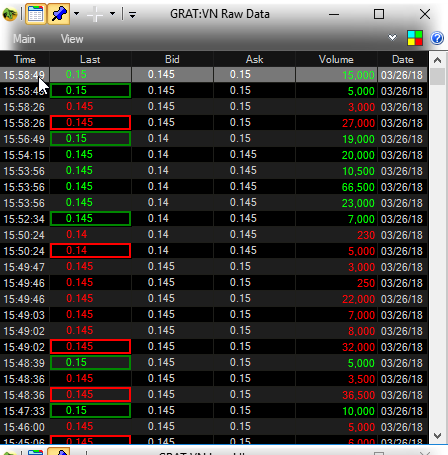 I just noticed premarket data was missing for Grat:VN, but I can see the data in stockwatch.com, screenshots attached. 1st two before the bell, last one scrolled back to check after the market opened. btw I have a backup with symbol data if you need it. I'm confused...on the stockwatch screen shot it shows two recent trades 8:52, 8:49am ie premarket which don't show up in the Medved raw data feed. notice that the last trade times in the first image, are all March 26th. those are the ones that MT would get. I don't really know how the other stuff got there or why it is not reflected in the top image. Still not following you. The pics were all from today the 27th. 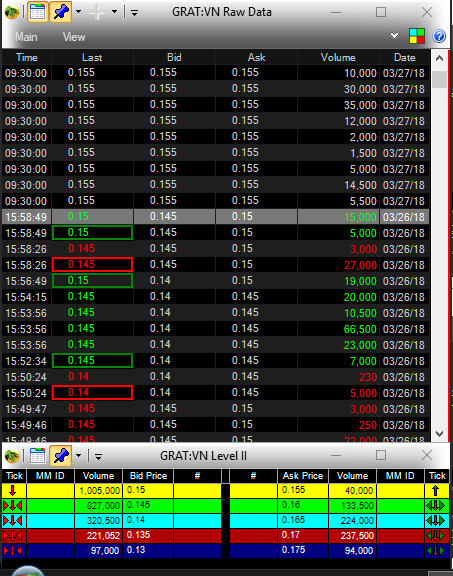 The medved one top left shows the trades from yesterday 26th. 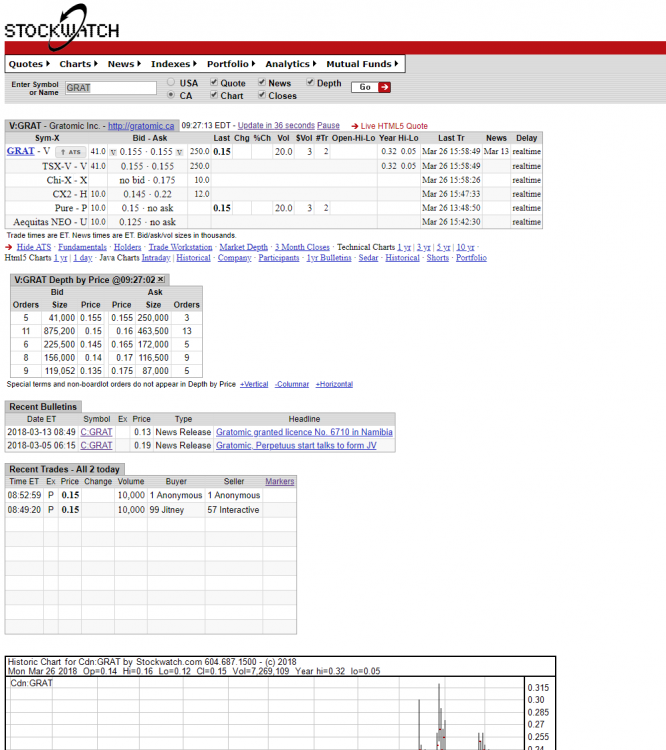 The one on the top right (taken the same time) shows the stockwatch page which has two trades premarket today 27th. Should I not expect to see the two trades in Medved since they were premarket? I see didn't notice that. I will have to check tomorrow. I am pretty sure I have seen the premarket data show up before. Whenever I have been comparing the data in Medved vs Stockwatch the area in the pic below has been where I have been looking.